The new study is made possible by a $650,000 federal grant awarded through a U.S. Veterans Administration Merit Review Award entitled "Novel Diagnostic Tests for Renal Cell Carcinoma," and will start enrolling patients in January 2016. 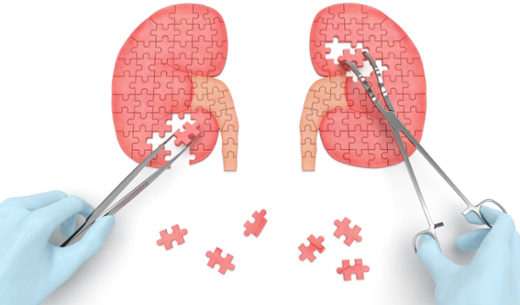 Investigators with the Winship Cancer Institute of Emory University and Atlanta Veterans Administration (VA) Medical Center are launching a study to determine if two novel tests developed at Emory can help find kidney cancer at earlier, more treatable, stages. The study is made possible by a $650,000 federal grant awarded through a U.S. Veterans Administration Merit Review Award entitled "Novel Diagnostic Tests for Renal Cell Carcinoma," and will start enrolling patients in January 2016. 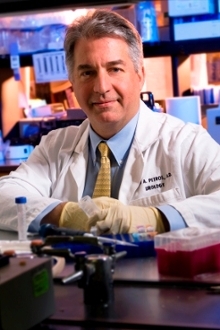 Principal investigator on the study is John A. Petros, MD, a Winship urological oncologist and professor and associate chair of research in the Emory University School of Medicine Department of Urology. Petros says the grant enables a collaborative consortium of Emory and VA clinicians and investigators to study two new tests for kidney cancer in 850 patients and research volunteers drawn from both clinical sites. Funds will be used to test the urine and blood of a group of patients with renal cell carcinoma (RCC) and a control group in order to determine the sensitivity and specificity of the novel tests. "This is especially relevant to veterans' health since hundreds of thousands of Marines and their families were exposed to TCE, a chemical degreasing agent, at Camp Lejeune and other Air Force and Marine bases, and the Centers for Disease Control and Prevention (CDC) has determined that these individuals are at significantly increased risk of developing RCC," said Petros. "The VA health system is responsible for caring for these individuals, so the development of screening tests for RCC within the VA system could be seen as particularly responsive to this congressionally directed mandate." There is no laboratory test for RCC. The clinical outcome of RCC is dependent on the stage at which the disease is detected with survival in excess of 95 percent for those tumors diagnosed at the earliest stage (small cancer confined to the renal capsule) compared to 5 percent or less once the disease is metastatic. The ultimate clinical translation of these tests would be to drastically alter the stage at which RCC is diagnosed, thereby significantly decreasing morbidity and mortality from this disease that currently claims the lives of over 13,000 patients per year. Petros' laboratory collaborated with investigators from across Emory University, including the Executive Health Clinic at Emory, Emory Departments of Urology, Pathology and Medicine (Primary Care and Nephrology Divisions), the Emory Medical Laboratory, and the Emory Integrated Genomics core facility of Winship. Urine will be tested for a protein secreted by RCC (Aquaporin-1) and the blood will be tested for tumor-derived DNA (circulating tumor DNA or ctDNA). Research to develop the two novel tests began with a Winship pilot grant and private funding from Emory's John and Mary Brock Diagnostic and Discovery Fund, as well as gifts from grateful patients treated by the Department of Urology. The VA Merit Review Award runs from January of 2016 through the end of 2019.